I’ll find out how well I manage stress when I face 400 people at the Girls Inc. “Celebrity Luncheon” on Thursday, October 30. Of course, I’d love to see you there! When I get up to deliver my speech, I’ll be inspired not only by the very visible women leaders of our day, but by girls and young women who are speaking up, even willing to risk their lives to do so. 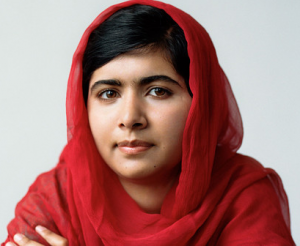 Do you know what 17-year-old Malala Yousafzai went through as spokesperson for the right of all children –including girls- to an education. She accompanied her father on his lectures and by the age of 10 was also speaking, gathering an international following. For her speechmaking and activism, she was just awarded the Nobel Peace Prize, the youngest person to ever achieve world-wide recognition. In my talk that day, I’m thinking that I’ll explain why women need to speak up to change the conversations that are often driven by male decision-makers. In spite of great advances in equal opportunity, I’ll share the shocking statistics about the numbers of women who actually do make it to the top of government, business, and higher education. Catalyst.org insists that stereotypes about women’s capacity for leadership remain one of the top reasons why they aren’t promoted up. There’s some good news to help us push against stereotypes with new research in the neurosciences about women’s capacity for decision-making – a function of the leadership role. Under stress, the stress hormone cortisol kicks in quickly whether you’re a man or woman, but women are actually less impulsive under stress than men are and take fewer risks, thus better decision-makers. The study assigns men and women the task of preparing to deliver a public speech, which is known to be stress-inducing, and women were not only more effective in managing stress, but they connected better. ”…they actually found it easier than usual to empathize and take the other person’s perspective. 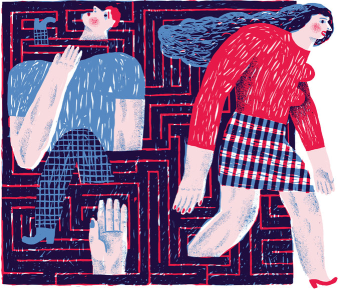 Just the opposite happened for the stressed men — they became more egocentric.” NY Times article. Each of us has a big idea within us, something we’d like to see changed. Maybe it’s lobbying City Hall to get a stop sign at a dangerous intersection or ensuring that your neighborhood school encourages girls to learn how to code. Are you ready to become a spokesperson for your big idea? If you don’t stand up and speak out, who will? It’s good to know that there are neurological benefits to being a woman. Who knew? It will be interesting to contrast the myth of “raging hormones” with the idea that women are less impulsive under stress. Very provocative article!